If you haven’t followed along in our Spielgaben journey, you can see when we unboxed our Spielgaben set, it was like Christmas morning. 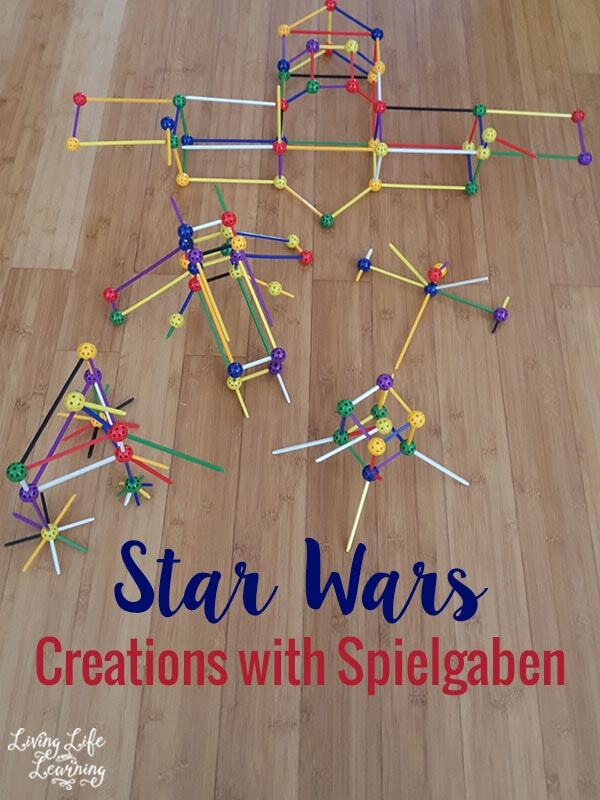 My son, of course, is a huge Star Wars fan so when he wanted to build some vehicles, he decided to use the rods and balls. We had a huge Star Wars book from the library and he used them as a model to build his vehicles. I have no idea which is which and he had to name them all for me for the picture. He was specific in the sizes that the battleship and gunship had to be. It was very important that the battleship was large and wide. It had to be massive and he was very particular about the positioning of the guns and how long the cannons had to be. That was a detail I would have missed. But what does mommy know? 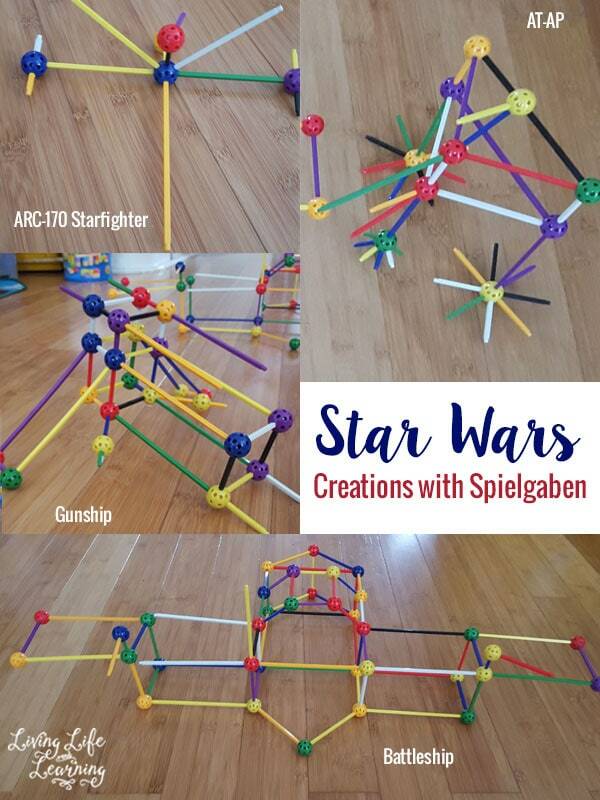 I love that my older son came down and saw his creations and was able to name all of his creations as well which assured my son that he had made them correctly. I love how open-ended these toys are and they’ve already been able to build so many things with them. 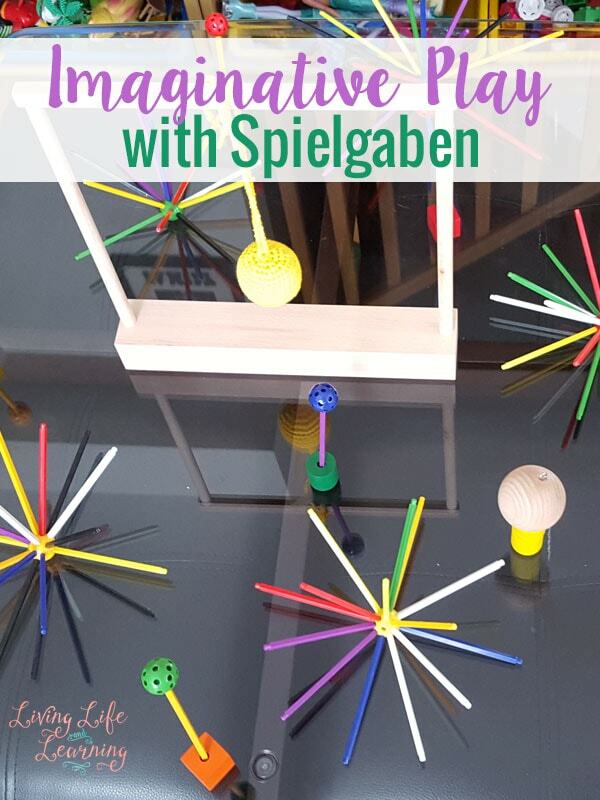 Stay tuned for some preschool activities that you can complete with your little ones using these toys. 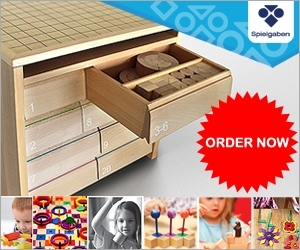 Get your own Spielgaben set for 11% off if you mention that you saw it here. That’s a $50 usd savings.